Summer is the time to start having fun and making plans with your friends. Well, we have something else to make your Summer even more memorable. You can enjoy having fun with anonymous texting to play pranks on your friends and colleagues. Its fun to be mischievous, but only as long as you aren’t intending to harm someone. We have brought a special offer for you so that you can enjoy prank text messages more than ever. Sending prank SMS is now even cheaper as we are giving away 50% extra credits on your top up when you enter the voucher code ‘sunshine’. You can now enjoy prank texting this summer with our hot offer. There is no better time than summer to start tricking your friends. 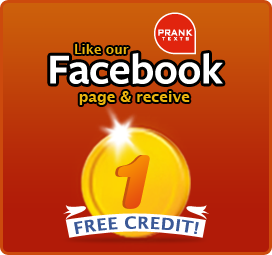 So load up and get 50% more to enjoy pranks on others.